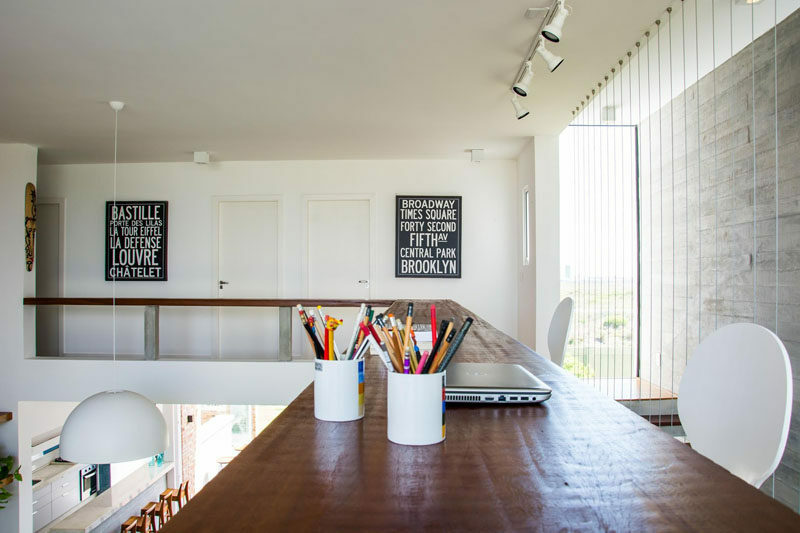 In homes that don’t have the luxury of a spare room for an office, you have to get creative. One way to make a home office in a house lacking space is to use the hallway. 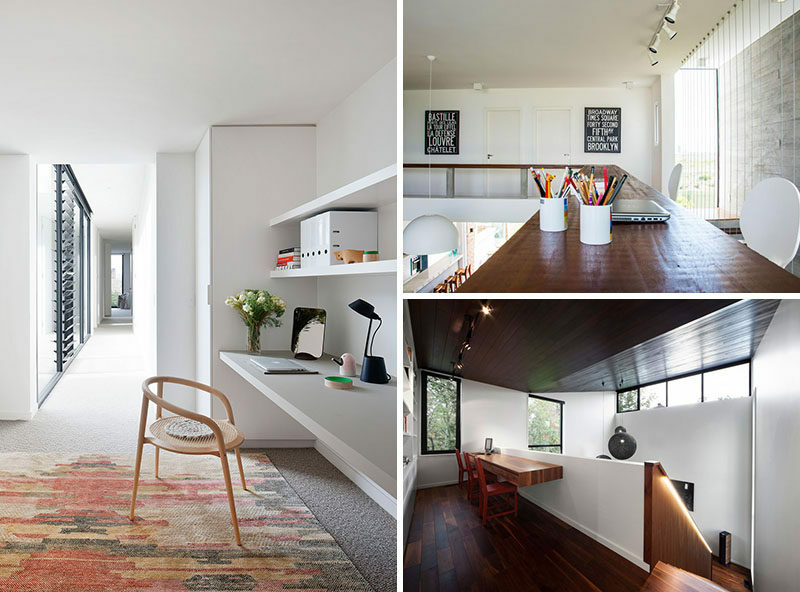 Here are 13 examples of home offices in a hallway. 1. 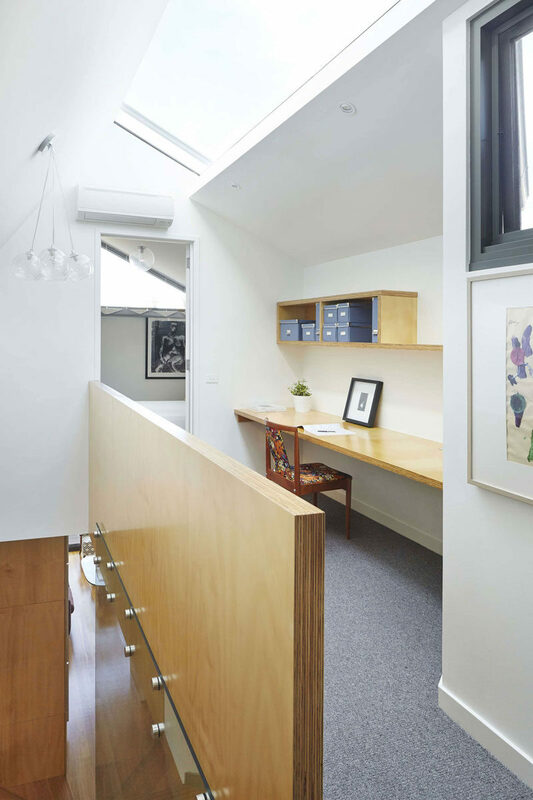 A long floating desk with a narrower shelf above it has turned this hallway into a functional workspace, and the space is kept bright by the skylight above. See more photos of this home, here. Designed by Nic Owen Architects. Photography by Christine Francis. 2. Right at the top of these stairs sits a perfect open home office space. A large bookshelf along the back wall and a floating desk provide the same amount of storage space and work space that you’d likely get in an actual room. See more photos of this home, here. 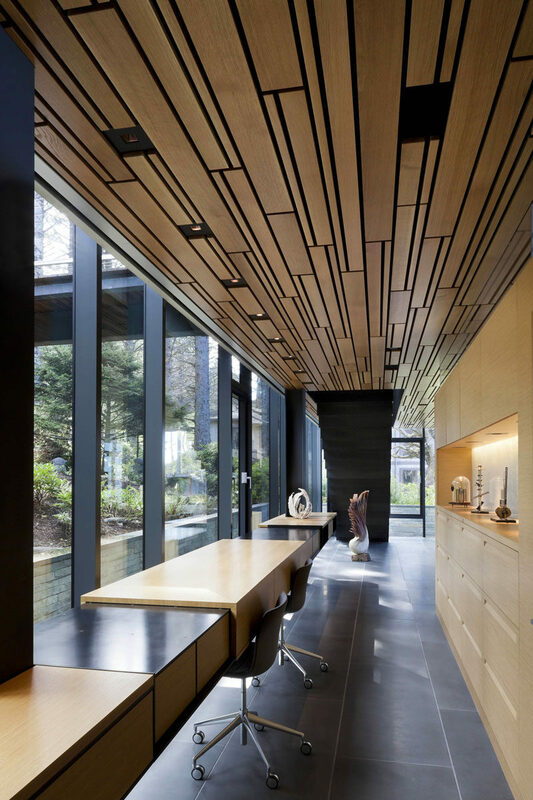 Designed by Blouin Tardif Architects. Photography by Steve Montpetit. 3. An all white work area in this long hallway makes for a bight space to get to work, and the long shelves provide plenty of extra storage space. 4. 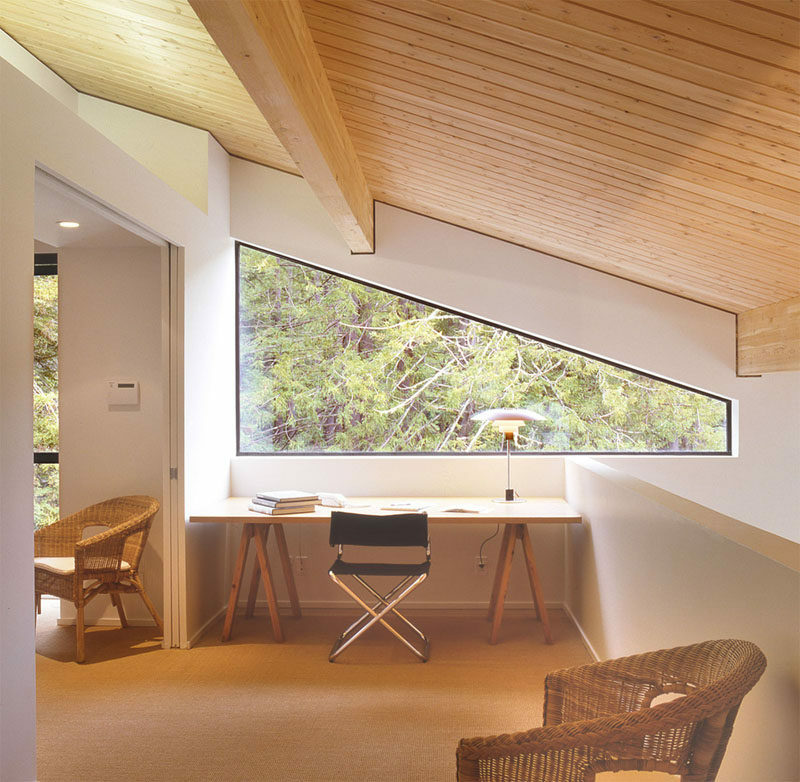 Soft lighting from above diffuses throughout the hallway where we find this home office. 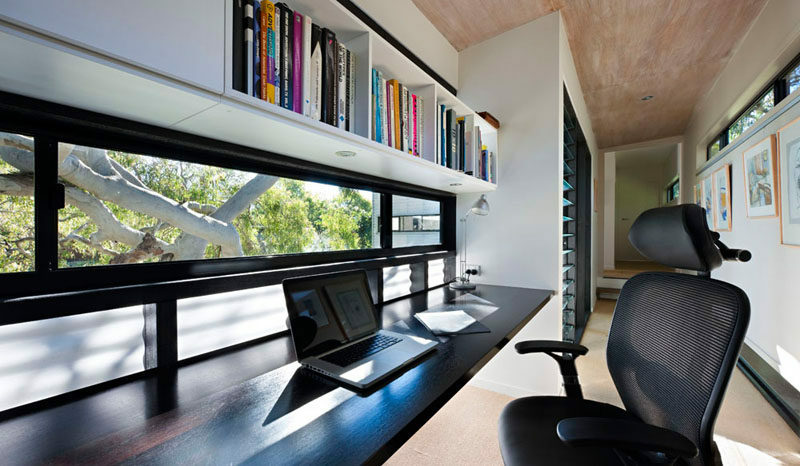 Shelves built into the sides of the office provide storage, and the desk is long enough to provide work spaces for two people. Designed by oneside. Photography by Alfonso Calza. 5. A large home office sitting at the top of the stairs has lots of work space, ample storage solutions, and a warm wood desk top to make the space feel cozy and inviting. See more photos of this home, here. Designed by Tobias Partners. 6. A long desk running the length of the window provides an excellent space to study or work from and has a nice view to help keep you inspired. See more photos of this home, here. Designed by Bark Architects. Photography by Christopher Frederick Jones. 7. 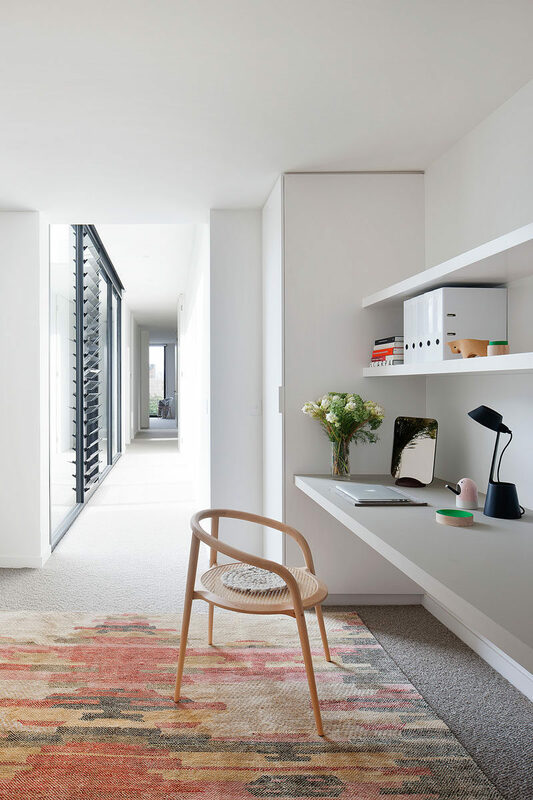 On the upper floor of this home, there’s a wood railing that acts as an ideal space to set up shop and get some serious work done, while still being able to be connected to what’s going on in the rest of the house. See more photos of this home, here. Designed by ESTUDIO 30 51. Photography by Carlos Edler. 8. This desk is situated in the hallway between living areas and is close to the kitchen, which makes it easy to help with homework while making dinner at the same time. See more photos of this home, here. Designed by Alts Design Office. 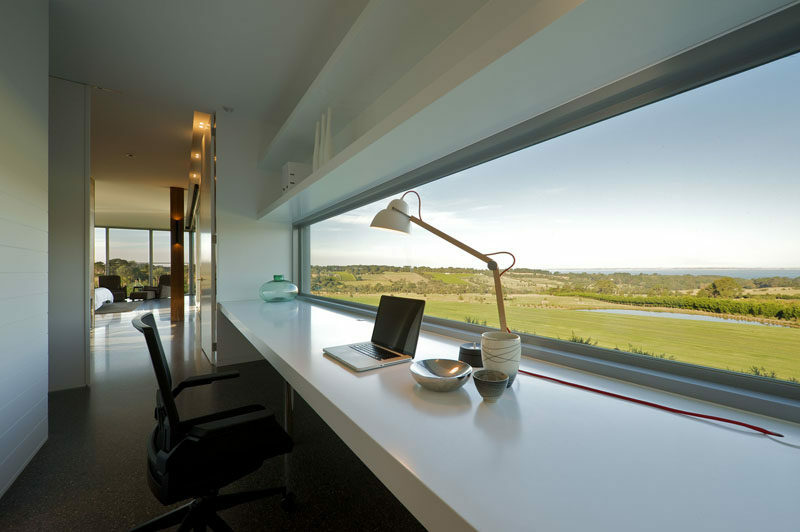 9.This desk overlooks the countryside and provides the perfect space to find some inspiration. Shoreham Residence by Craig Easton. 10. This home office sits at the top of the stairs in the hallway between two rooms. 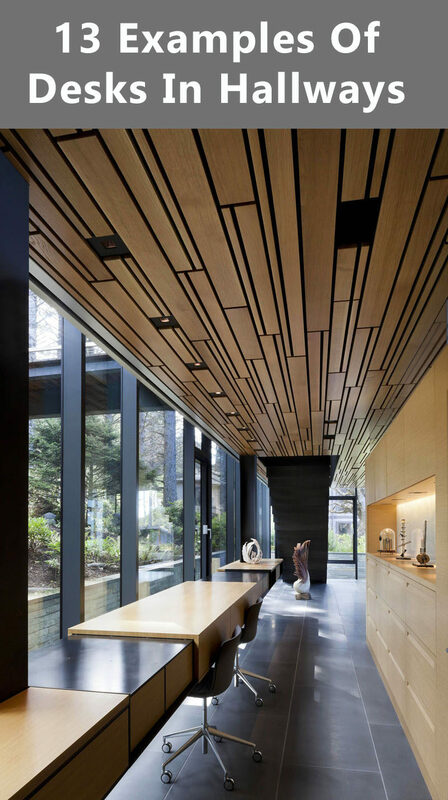 Designed by Will Bruder Architects. Photography by Timmerman Photography. 11. 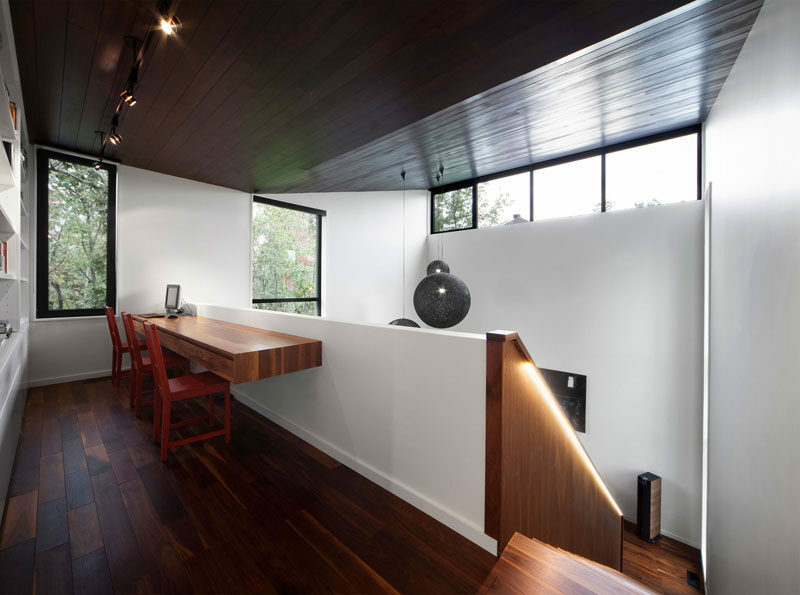 This desk has views of the forest outside and looks down to the room below, keeping it connected to what’s going on in the rest of the house. See more photos of this home, here. Designed by Todd Verwers Architects. Photography by Marion Brenner. 12. These desks on the main level of the home get a lot of natural light from the massive windows they have in front of them. See more photos of this home, here. Designed by Boora Architects. Photography by Tim Bies. 13. 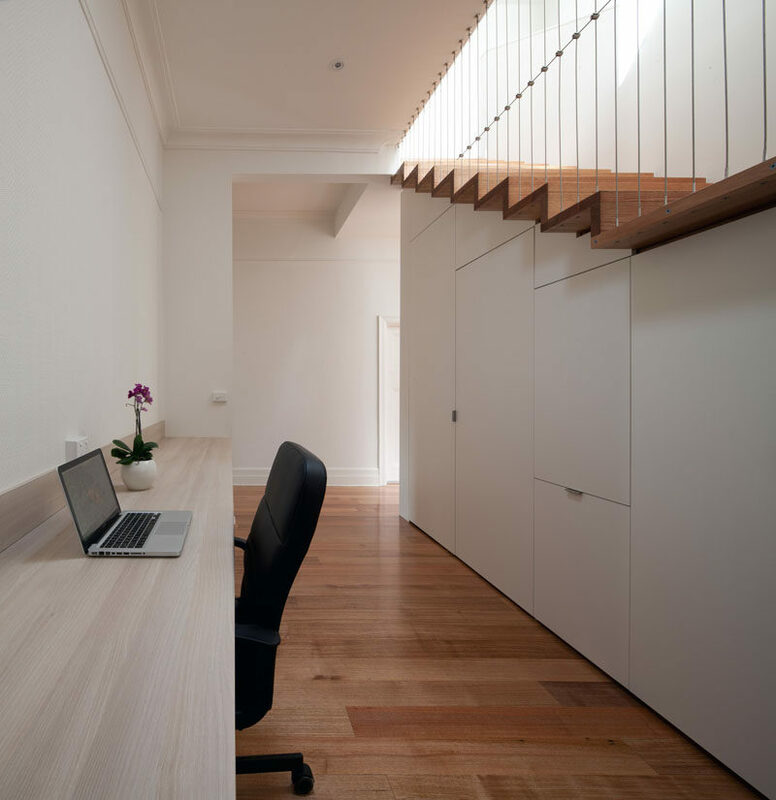 This long hallway desk provides a convenient spot to take a break from family life and get some work done. See more photos of this home, here. Designed by CHAN Architecture. Photography by Brendan Finn.